"How real is the chatter about Iraq?" "Very." 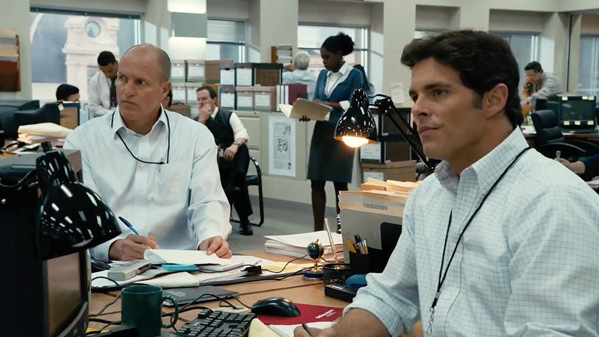 Vertical Entertainment has released the first official trailer for Rob Reiner's new film, an investigative journalism thriller titled Shock and Awe. The film is based on the true events of Knight Ridder journalists who were the only ones who "got it right" in the lead-up to the 2003 Iraq War. They were the only ones skeptical skeptical of President Bush's claim that Iraq's Saddam Hussein has "weapons of mass destruction." James Marsden stars as Warren Strobel, and Woody Harrelson as Jonathan Landay, with a cast including Jessica Biel, Milla Jovovich, Tommy Lee Jones, Rob Reiner himself, and Richard Schiff. This looks like another strong film about the power and importance of good journalism. And you know, I am happier seeing films about journalism instead of more films about the war. A group of journalists covering George Bush's planned invasion of Iraq in 2003 are skeptical of the presidents claim that Saddam Hussein has "weapons of mass destruction." The film is based on the true events of Knight Ridder journalists who were the only ones who "got it right" in the lead-up to the 2003 Iraq War when they questioned the true nature of the Bush White House's justification for the conflict. 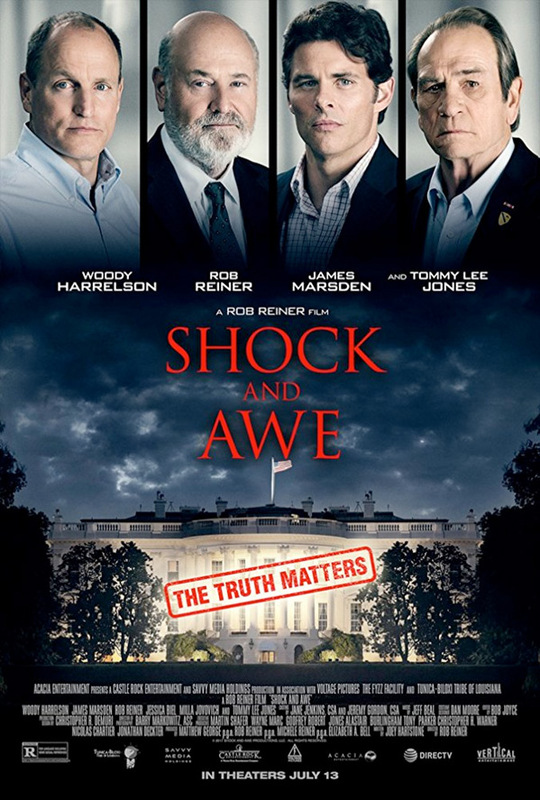 Shock and Awe is directed by veteran American filmmaker Rob Reiner, who has directed classics and great films such as Stand by Me, The Princess Bride, When Harry Met Sally, The Story of Us, Alex & Emma, Rumor Has It, The Bucket List, Flipped, And So It Goes, and most recently Being Charlie and LBJ. The screenplay is written by Joey Hartstone. This premiered at the Zurich Film Festival last year. Vertical Ent. will release Reiner's Shock and Awe in select theaters starting on July 13th this summer. First impression?